Lloyd was born and educated in British Columbia, Canada. After his first collaborations in the world of fashion that began in Vancouver, Lloyd moved to Italy where he became very soon responsible for the makeup for international campaigns for fashion and beauty products. For 14 years, he worked increasingly for Italian publications and then decided to move to Paris. For 3 years, he worked as principal makeup artist for Biotherm, and many subsequent worldwide campaigns for the L’Oréal group, including Lancôme, Helena Rubinstein, and Kerastase. He has been consulted creatively on the makeup for the biggest international runway collections, international publications including French and Russian Vogue, Numéro, Citizen K, Amica, Flair, the New York Times. 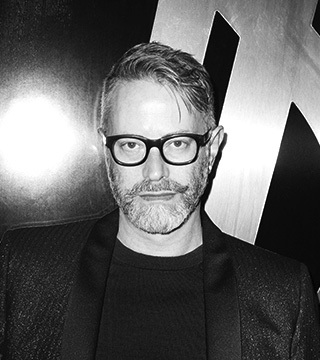 Lloyd is currently the international makeup artist for the Yves Saint Laurent Beauté line.